New tattoo woooooo! 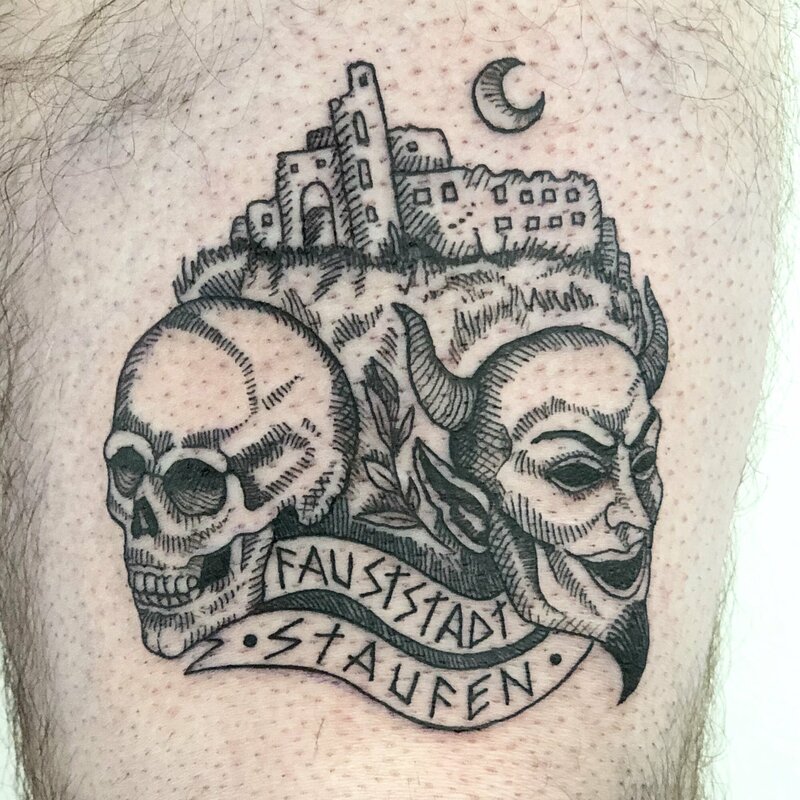 Finally got my Staufen im Breisgau inked up, by the super-talented Ariadna Pedemonte at Sinextesia in Seville. 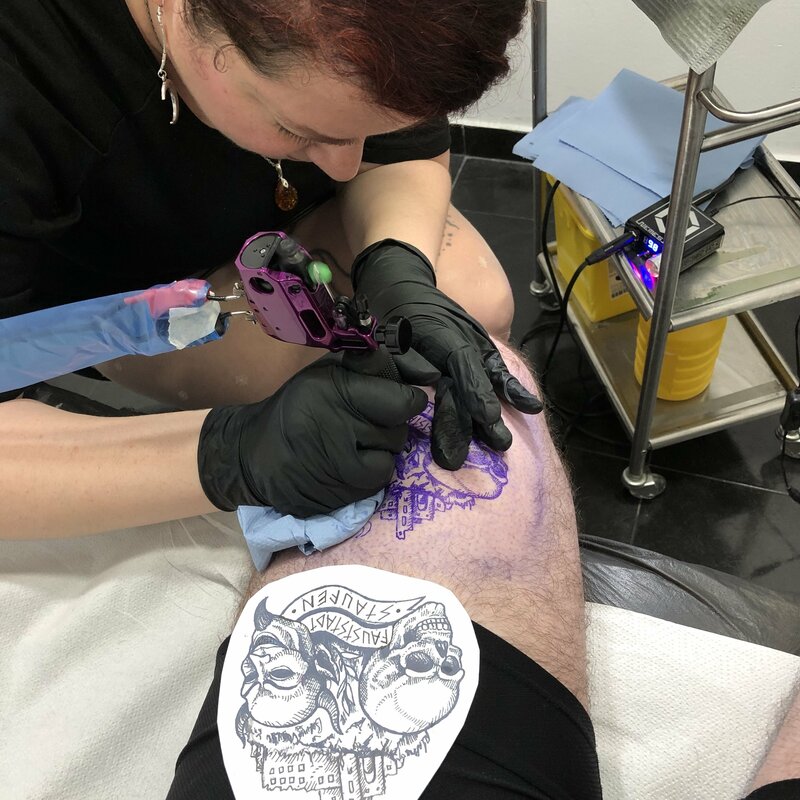 Thanks so much for the great work, lady! And thanks to our buddy, David, for the original concept. Love y’all!